Life is a long journey and meditation is the key to live happily during all the ups and downs. In our lives, there are always obstacles that keep us from moving forward. The key is to flow with it. With the practice of meditation, we can access that inner space, where we can learn to observe (and let go) those things or matters that no longer serve our highest purpose and being. The best time is in the morning. Try to fit in some time for meditation every day. It will help in the long run. We have lost the importance of taking care of ourselves and meditation is a great way to start. What is meditation? How do I do this ? “When an individual sits alone in silence and focuses the mind on one specific thought, activity, mantra or object, to get into the calm state of mind”- that is meditation. I like to focus on the breath and bring in my awareness of breath. Meditation is an easy and impactful exercise which can also be done by closing the eyes in a soulful quiet environment. Improves mental health – It has been proved that meditation helps in reducing stress, depression and kills anxiety. It helps you in building your mental energy and changing the grey-matter in our brains (the structure associated with self-awareness, compassion, and introspection) which results in keeping your mind away from worries and eventually improving mental health. 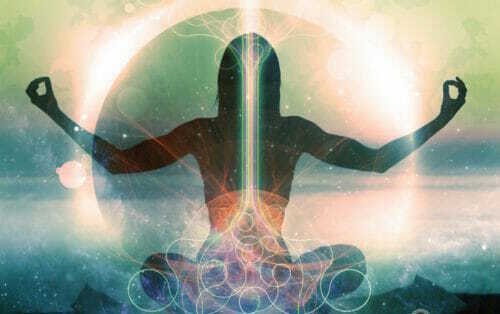 Helps you to re-discover your inner self – Meditation teaches us that we are not just a structure of bones and muscles making a random human body, there is a living soul inside all of us. If you are a beginner, you can also attend some private meditation classes in order to achieve spiritual prosperity and to just begin. By simply closing your eyes and focusing on the breath, you can observe your inner self which leads you to discover deeper things about yourself, which you had never been aware of. Treats some pain better than prescribed drugs – Yes, when you get in a situation where you have nothing to do, but to focus on yourself and your life sitting in a relaxed position, your mind works and the activity in your mind keeps you focused toward the topic of your ideas and thoughts. (Of course, there are exceptions and sometimes drugs are necessary) but with most acute pain, try meditation rather then taking drugs. With a consistent daily practice, the mind changes its thoughts about the pains, and the exercises make you even stronger. It is also better to be active rather than sleeping on prescription drugs to avoid pain. Meditation makes you a better human – It is proven that the people who meditate daily for 1-2 hours are more sincere toward their jobs; such people are more peaceful and dedicated toward their goals. The exercise brings out the compassionate and kinder part of you. You also start seeing everyone and everything with a positive aspect and that is how life becomes easier. 5. Other benefits of meditation – When you practice meditation, it increases circulation by the expansion of blood vessels, increases blood flow and maintains the blood pressure. It also improves the immune system and protects us from various diseases. It is proven that it greatly helps to reduce the risk of cardiac arrest. The list of benefits is long; meditation is something all of us should consider in order to maintain a healthy and successful lifestyle. We sleep, we drink, we eat and we work, why not start to take care of our inner mind and bodies as well…. With these basic life essentials, bring meditation into your daily life and improve your well-being. Want to Receive Access to a Free Guided Meditation by Lea ?
? Join here ACCESS INNER PEACE ?